With Interstate 80 open, the corridor was no longer the main route of cross-country travel, but remained the major connector between Reno and Sparks. Sidestepped by most new development, much of 4th Street and Prater Way suffered from visible decline. Many former tourist lodgings converted to weekly and monthly rentals, while some recently vacated buildings gained new ownership. Upon the completion of Interstate 80 through Reno and Sparks in 1974, U.S. 40 was decommissioned through the area and 4th Street was reclassified as a surface roadway. The shift echoed the events of 1934, when the route of U.S. 40 through Sparks was moved from Prater Way to B Street (Victorian Avenue). Back then, the damage to local business was minimal. Only a handful of stores and services had been established along Prater Way by the thirties, and even after losing its highway status, Prater Way remained a central street. Surrounded by residential neighborhoods, it had become a busy commercial corridor in the 1950s and remained one ever since. The story was very different for 4th Street after 1974. Over the course of 40 years, many of its motels, gas stations, truck stops, and other services had grown dependent upon highway traffic. To make matters worse, the highly criticized urban renewal project that demolished the residential neighborhood north of East 4th Street in the 1960s had not produced the desired influx of commercial development. The largest lot to attract outside investment, a ten-acre chunk between Spokane and Sutro Streets, became a Holiday (later, Ramada) Inn surrounded by a sea of parking spaces. Along the corridor, motels including the El Rancho Motel No. 2, El Tavern Court, and Sutro Motel had flourished in the postwar era. Their gradual deterioration in the 1980s and 1990s was hastened by a number of developments not limited to the interstate’s construction, including the end of Nevada’s lucrative divorce trade. With marital laws nationwide eased by 1970, Reno and Sparks lost a reliable stream of regular visitors in need of respectable short-term housing. Even more damaging to the motel trade was the rapid entry of the casino industry into the lodging business following the passage of the Corporate Gaming Act of 1969. From the 1970s through the 1990s, casinos including the MGM Grand (later renamed Bally’s, the Reno Hilton, and the Grand Sierra), Harrah’s, the Sands, the Eldorado, Circus Circus, and John Ascuaga’s Nugget constructed high-rise hotel towers. The combination of thousands of affordable new hotel rooms and massive parking lots and garages eliminated the longstanding advantages of nearby motels and motor lodges. Many motel owners who had formerly lived on the premises sold out and moved, or changed their operations entirely to weekly and monthly rentals. Some kept the “motel” name, while others altered their neon signs to reflect this shift: the Park Motel in Sparks became Park Village Square Apartments; Reno’s Star Motel became Star Apartments; and the Farris Motel became Farris Apartments. In 1989 Joe Keshmiri bought Harolds Pony Express Lodge and changed its iconic sign to reflect its new ownership. The brick hotels closer in to Reno, including the Morris Hotel, Marion Hotel, and Hotel Richelieu, already catered more to long-term stays, a trend that continued. By the 1990s, many of these properties were poorly maintained, with their single rooms serving as primary residences for a low-income or otherwise homeless population. In the 1950s and 1960s, Prater Way had transformed from a quiet street into a popular commercial strip. In subsequent decades, the city of Sparks expanded further to the north and east, where ever-larger shopping centers and supermarkets sprung up near new suburban developments. As a result, Prater Way was no longer Sparks’ main shopping district, but remained busy. Constant traffic and ample off-street parking continued to make it a sound address for shops, auto services, and convenience stores. Retail spaces in existing structures like the Ideal Shopping Center required less overhead to operate than new buildings elsewhere. Unable to compete with larger outlying competitors, Prater Way’s Safeway was renovated in 1976 into Grand Auto, an automotive retailing chain. The Food Mart remained a grocery into the 1980s, while the Park Grocery lasted longer than most small markets, finally closing its doors in 1988. The small single-family houses north and south of Prater Way were joined by new apartment buildings, mobile homes, and trailer parks. Neighborhood children filled the area’s schools, including historic Robert H. Mitchell Elementary, which underwent a much-needed renovation in the 1990s. The trees, expansive lawn, and swimming pool at Deer Park remained an appealing refuge from concrete and congestion. Several churches were also located on Prater Way, adding to the street’s continuing diversity. Formerly a mix of everything from motels to manufacturing, 4th Street’s variety now became something of a weakness in the effort to attract steady business and foot traffic. West of downtown, many motels remained in place—some, like the Silver State Lodge, standing vacant for years. In the heart of Reno, entire blocks changed dramatically. In 1995, the National Bowling Stadium was completed on the site of the old Northside Junior High, between Lake and Center. The same year, the Silver Legacy opened on Virginia Street, creating a tunnel over 4th Street, where a skywalk connected it to the neighboring Eldorado. East of downtown was where 4th Street struggled the most. Although not consistently troubled, a large number of deteriorating properties and a sense of desolation led to a reputation for criminal activity, transients and prostitution. Those restaurants and bars that had gained a loyal local following did fine. Departed were some favorites including Siri’s Dining Room and the Green Cup Café, but continuing on were stalwarts like the Copenhagen Bar, Casale’s Halfway Club, Coney Island Bar, Alturas Bar, and Louis’ Basque Corner. Some of the most continuously successful sites were those that had never bent to accommodate travelers in the first place. Among those, Martin Iron Works rode the wave of the casino industry’s growth. Also charging onward were warehouses, building-oriented businesses like Ray Heating, and auto supply and repair spots like Fred’s Auto Repair, opened by Fred and Gaye Canepa on nearby 6th Street in 1979. Other businesses like the Chapel of the Bells, the Reno Mattress Company, and D Bar M Western Store offered unique services that made them a destination regardless of their surroundings. As the decades passed, these destinations included an increasing number of adult-oriented clubs, including one housed in the Rainier Brewing Company Bottling Plant and Fantasy Girls, located in a former supermarket. In one respect, widespread neglect had a positive outcome. Few buildings along the corridor were demolished during this era, even when vacant for long periods of time. Although unappealing in the short term, this did result in the preservation of a large number of attractive brick structures dating to the early 20th century. Some larger industrial structures proved most difficult to keep active. In addition to the Alpine Glass building, these included the old Reno Brewing Company Bottling Plant, owned by Spencer Hobson. A string of automotive tenants and suppliers occupied the building until it fell vacant in 1989. Others were continuously occupied, aided by their low property values. The old Nevada-California-Oregon Railroad Depot had housed Sierra Wine & Liquor since the 1950s. Art and Marilyn Marston purchased the Zellerbach Paper Company building on Valley Road in 1974 for their company, Marston Printing. Ed Scalzo leased the IXL Laundry building in 1986 for his furniture business and then bought the vacant Flanigan Warehouse, which became Forever Yours Fine Furniture in 1998. Toward the end of the 1990s, movement toward East 4th Street began to pick up. Mike and Sandi Sullivan purchased a 1950s-era bank building on Spokane Street and relocated Windy Moon Quilts there. 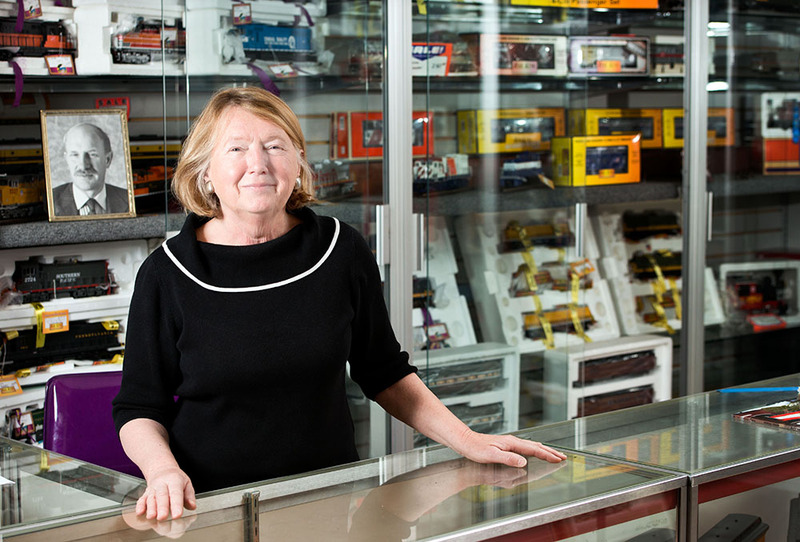 Bill and Lilli Moffit bought an old Chinese restaurant near Sutro Street in 1998 for their collectible train store, Reno Rails. Efforts by these business owners and others to demonstrate the area’s potential were aided by the new Historic Reno Preservation Society (HRPS), which began to offer historical walking tours of East 4th Street. As the corridor’s business owners struggled to attract customers and further investment, word came of the City of Reno’s intention to locate new facilities for the homeless in one or more vacant buildings along 4th Street. Concerned for its potential impact on their existing businesses and hopes for revitalizing the area, a coalition of business owners and operators banded together in 1997 to found the Reno Sparks Business Corridor Association. The group pursued a number of strategies to prevent the city from locating the shelter in their district. First, they approached the owners of vacant buildings under consideration by the city and persuaded them not to sell. They also filed a lawsuit. For a time, the RSCBA succeeded in derailing the city’s plans, but the struggle was not over yet. As the 20th century closed, East 4th Street in particular seemed to be at a tipping point. With a homeless shelter in the balance, it seemed the street could go either way. The outcome was unclear. Sandi Sullivan bought Windy Moon Quilts, then located in Tahoe City, in the 1980s, and moved the business to Reno—first to Kuenzli Street and then to a former bank building at 440 Spokane Street. She and her husband, Mike, were involved in the creation of the Reno-Sparks Business Corridor Association (RSCBA). 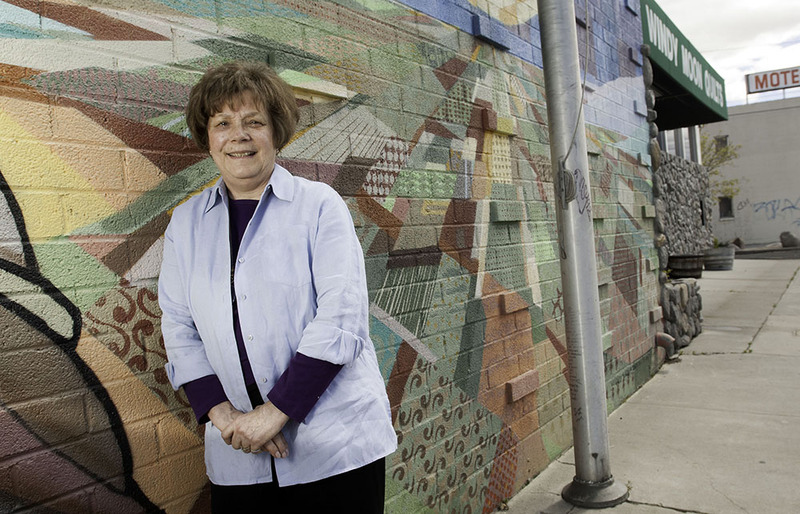 Sullivan, whose family has lived in the Reno-Sparks area for several generations, also speaks about growing up in the community and the urban renewal project that targeted the neighborhood north of East 4th Street in the 1960s. John Feroah grew up in Reno, where his father worked for the Reno Police Department. After high school, John joined the Air Guard and worked briefly for the City of Reno. In 1969, he joined the Reno Police Department, part-time, while working security for the Cal-Neva. In 1971, he began to work for the Washoe County Sheriff’s Office, retiring in 2003. 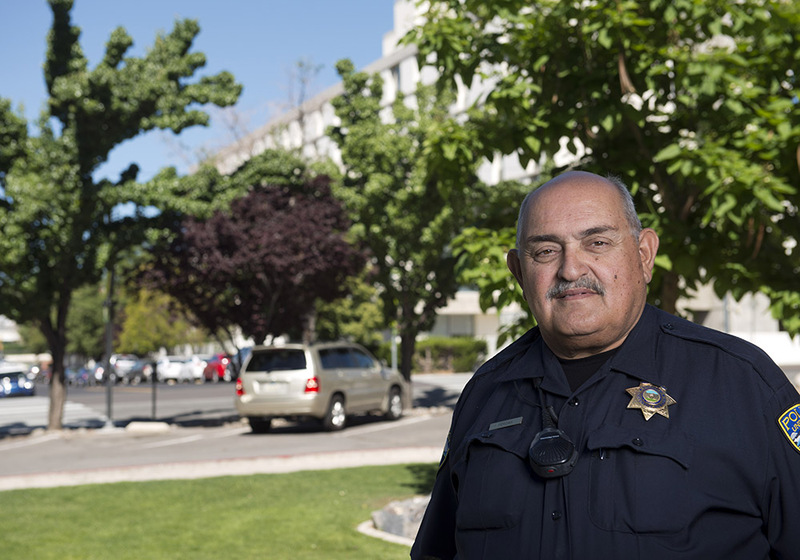 He has since worked for the Reno Police Department Reserve and the University of Nevada Police Department. Lilli Moffit was born in Germany and raised in Iowa. In the 1990s, she and her husband, Bill, moved to Reno, where he worked for Sierra Pacific (now Nevada Energy). In 1998, the Moffits bought and renovated a former Chinese restaurant at 1229 East 4th Street and opened Reno Rails, a model train store. Lilli continued to operate the business after her husband passed away in 2010.